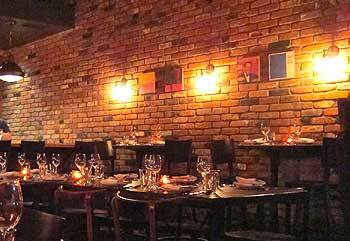 From tapas to paella, indulge in the tastes of Spain at Smoke.Oil.Salt. Find out why this place is one of the spots to experience if you really want to understand what Los Angeles is all about! Tucked into a lively location on Melrose Ave., you can indulge in an array of wines and Spanish specialties from Chef Perfecto Rocher, and AdVantage Partners’ Adam Fleischman and Lee Weinberg, and with producer Stephen Gelber at Smoke.Oil.Salt. Kick off your evening with some cava and leisurely nosh on old and new world delicacies like melt-in-your-mouth fried potatoes with Serrano ham and chorizo, topped with a fried egg; Catalan toast topped with tomato and homemade red and white sausages; sea urchin flan adorned with caviar and shrimp chili oil, and more including wood-fire grilled filet of Iberico pork served with smoked green onions and Xacto sauce. Chef Perfecto, who hails from Valencia in Spain, also offers his signature paella, which hails from the region. Paella nights run Sundays and Mondays and include an individual choice of a starter, a medium plate and dessert with shared a paella plate (choice of meat, seafood or veggie) for $45; you can also opt for an additional wine flight pairing. 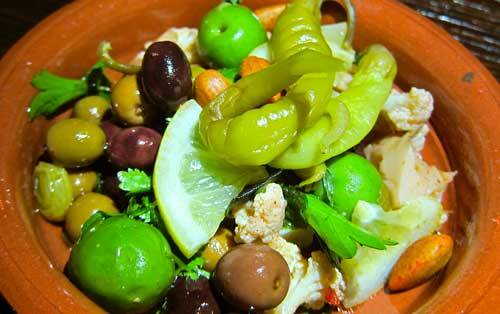 Olives, toasted almonds and Manchego cheese. 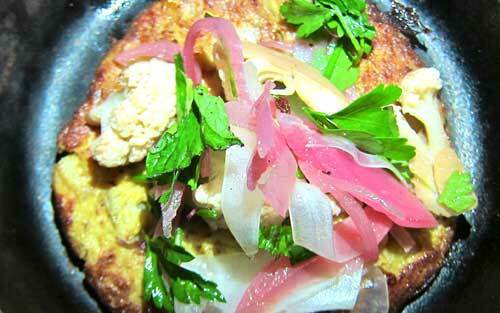 Artichoke omelet with pickled onions and Meyer lemon aioli. 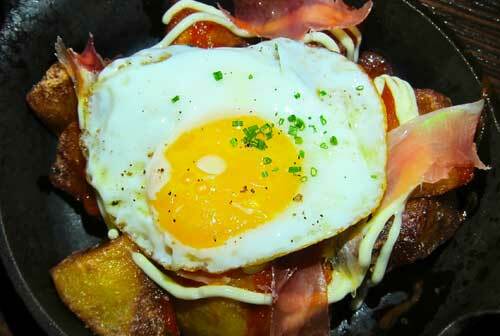 Fried potatoes with Serrano ham, chorizo and a fried egg. 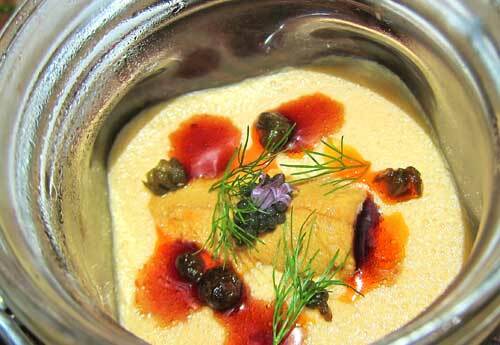 Sea urchin flan with caviar and chili oil. 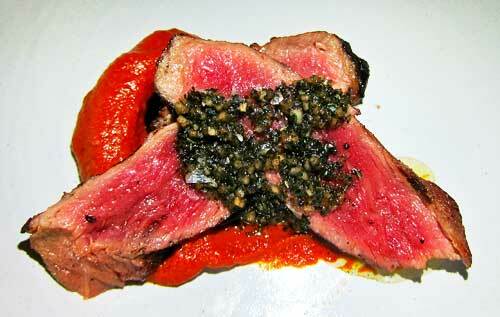 Wood-fire grilled butcher’s filet of Iberico pork with smoked green onions and Xacto sauce. 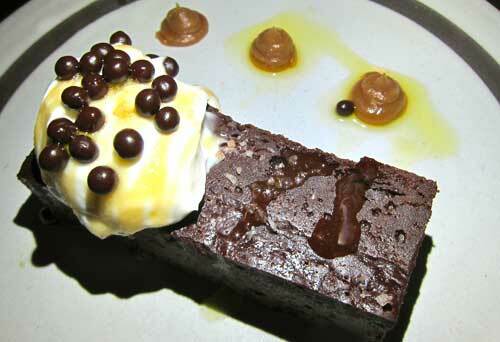 Chocolate pate with organic olive oil and smoked salt.